A passenger who shares my head space. Room for both of us…but so uncomfortable for me, my life. As our family drives away from this weekend – of both wonderful and horrible – and back to our safe home… I can feel the inevitable stress letdown triggered migraine. Adrenaline is amazing for my brain pain, but when it wears off…the migraine just blossoms in my brain like a flower. Unfolding, opening, beautiful. 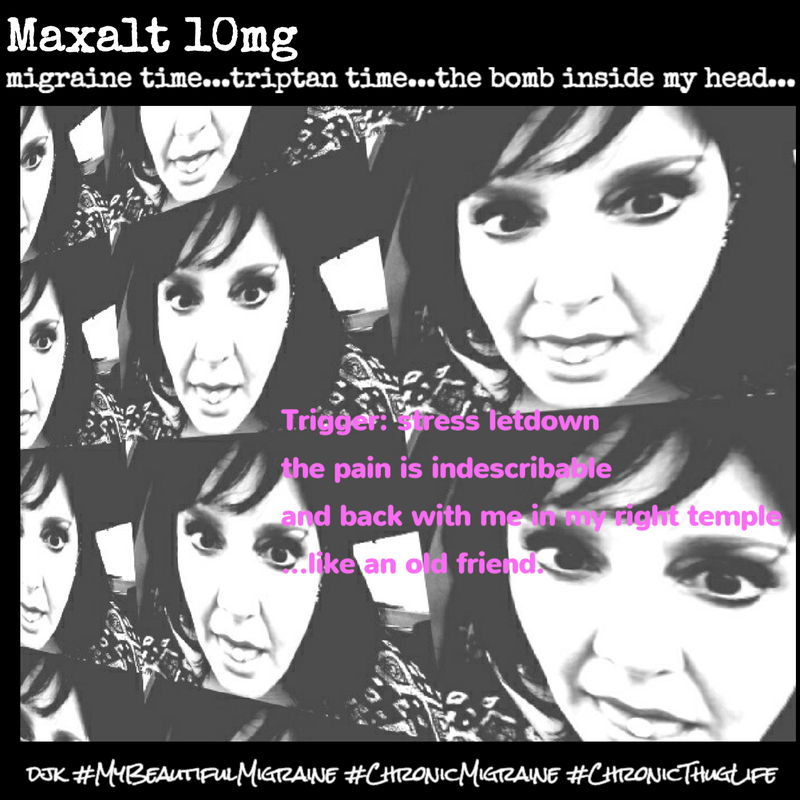 My beautiful migraine.